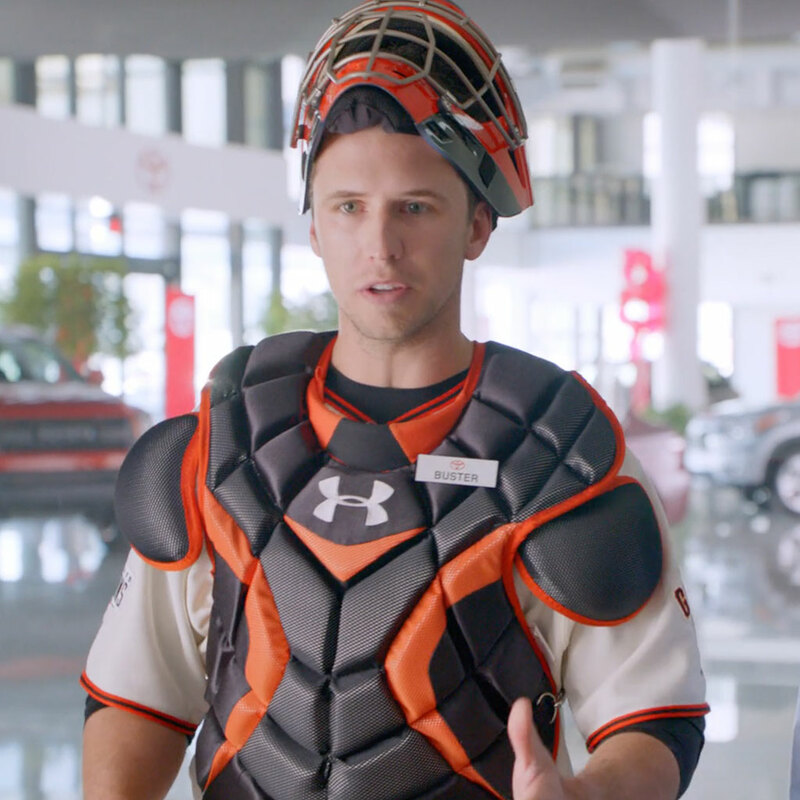 What’s the SF Giant’s ultimate all-star and nice-guy, Buster Posey, doing in the Toyota showroom? Making friends and closing deals, of course. 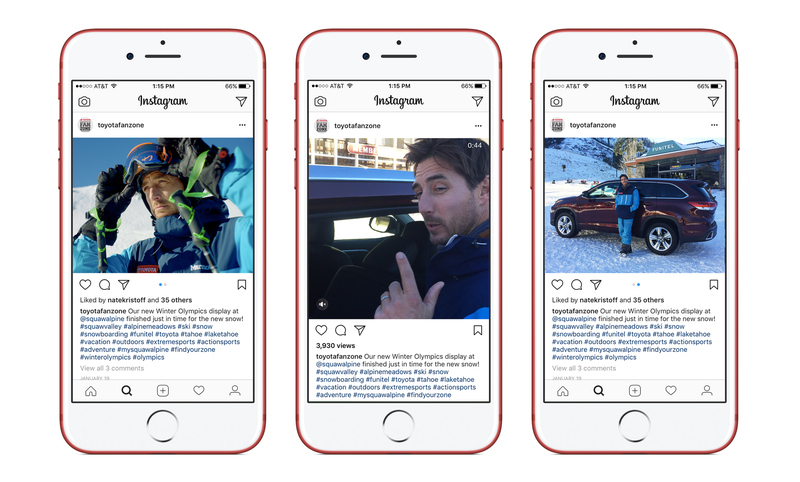 We extended the reach of this fun campaign tenfold through social content, Posey Emojis, contests, and tons of in-dealer schwag. 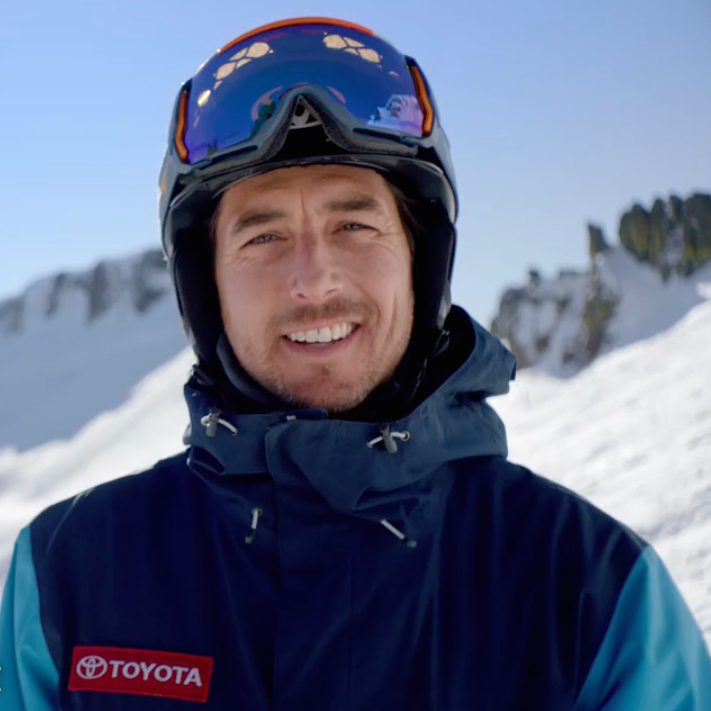 How can you not like this guy… buy a Toyota! 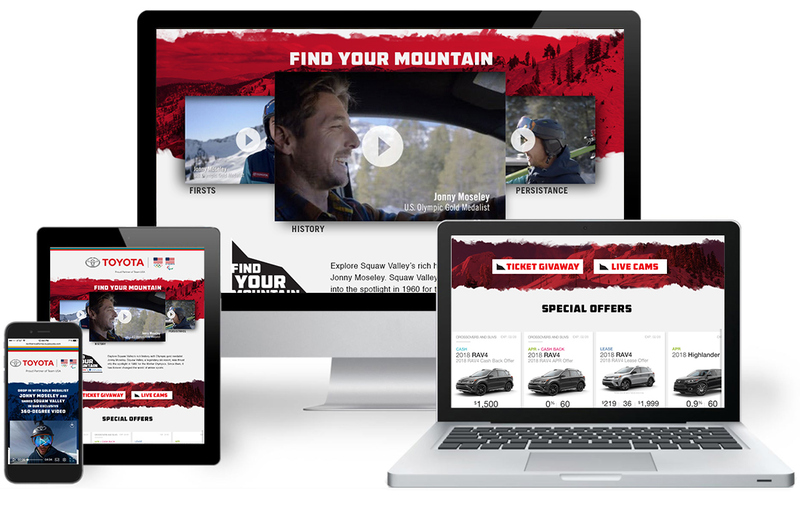 What started as a few quirky spots built to reflect Nor-Cal living and a simple premise—Wouldn’t it be nice to have the quality, durability and reliability of a Toyota?—evolved into a marketing platform for the next two years. 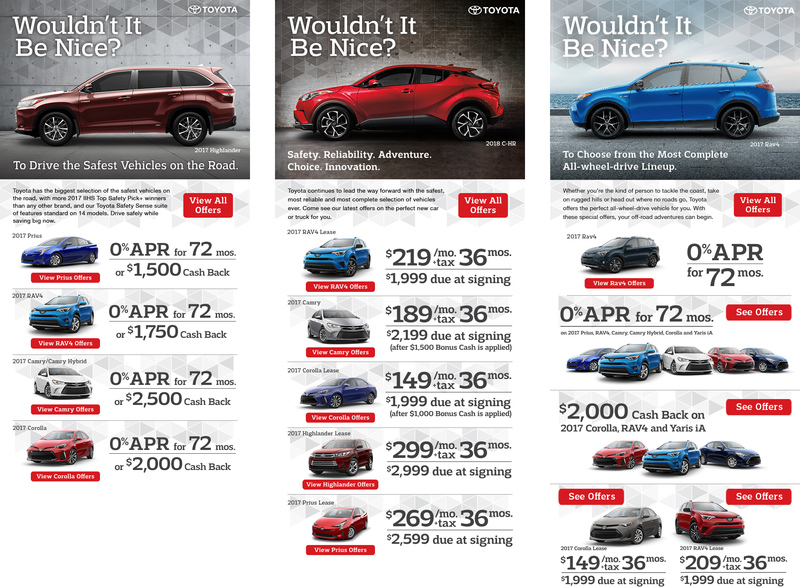 To stay top-of-mind in the heavily saturated automotive market you need to maintain a constant presence, whether there’s a sale going on or not. 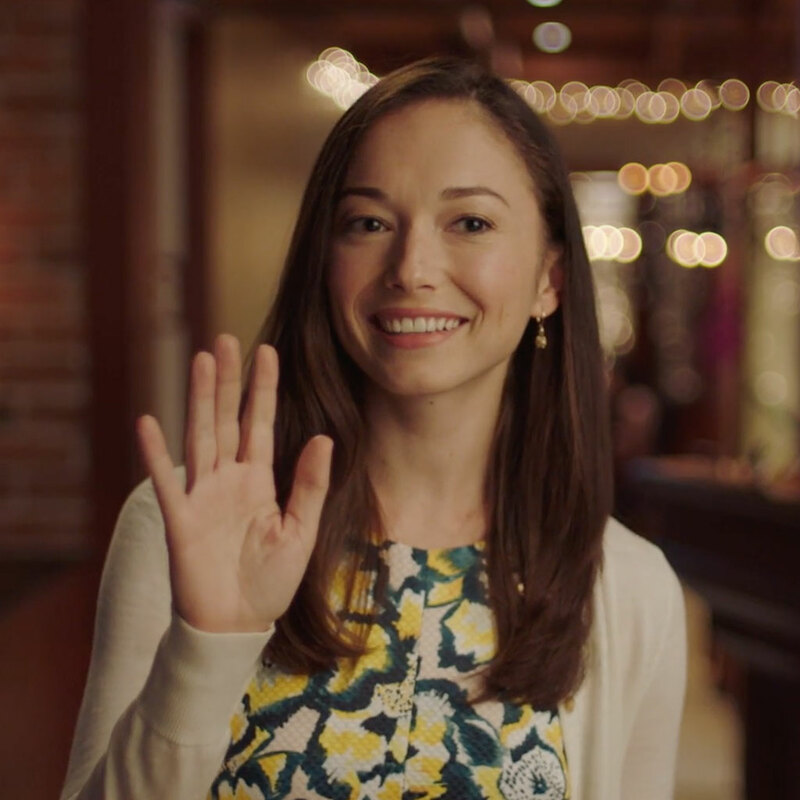 That means making lots and lots (and lots) of ads. 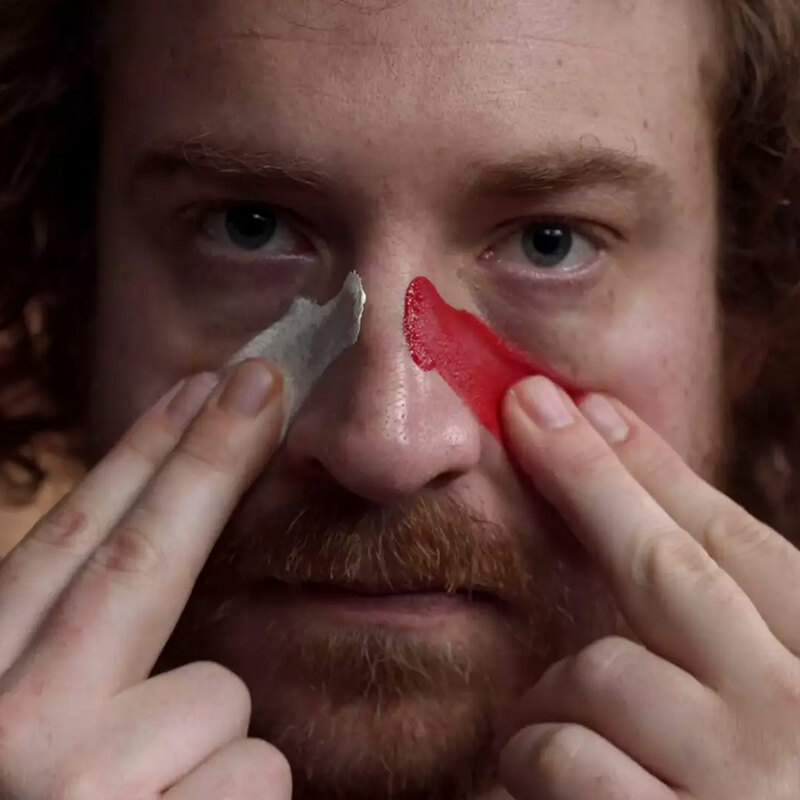 Of course, to rise above all that clutter you want something special that stands out. 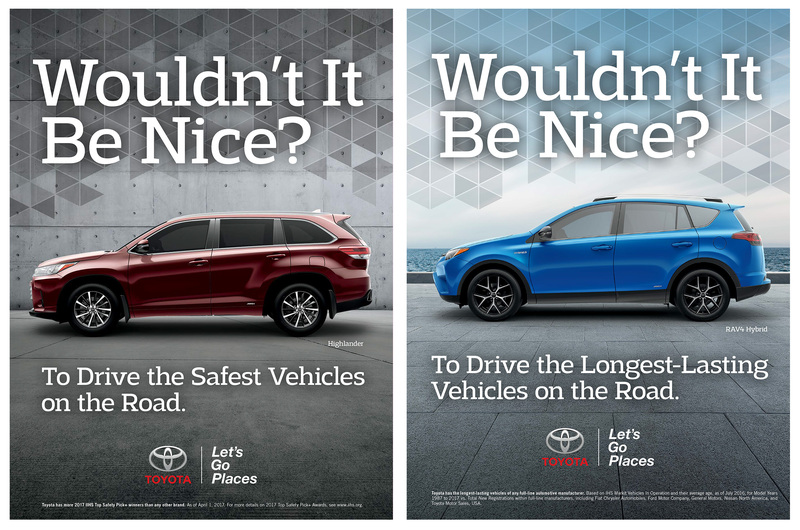 Here are some of my favorites—especially the one I pitched as exploding cars (not literally). 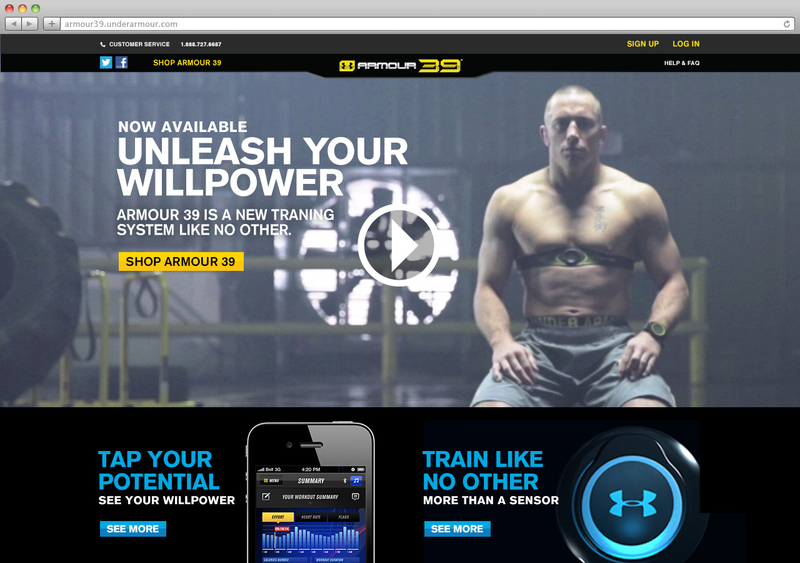 Under Armour asked us to introduce their newest product Armour 39 into the exploding wearables market. 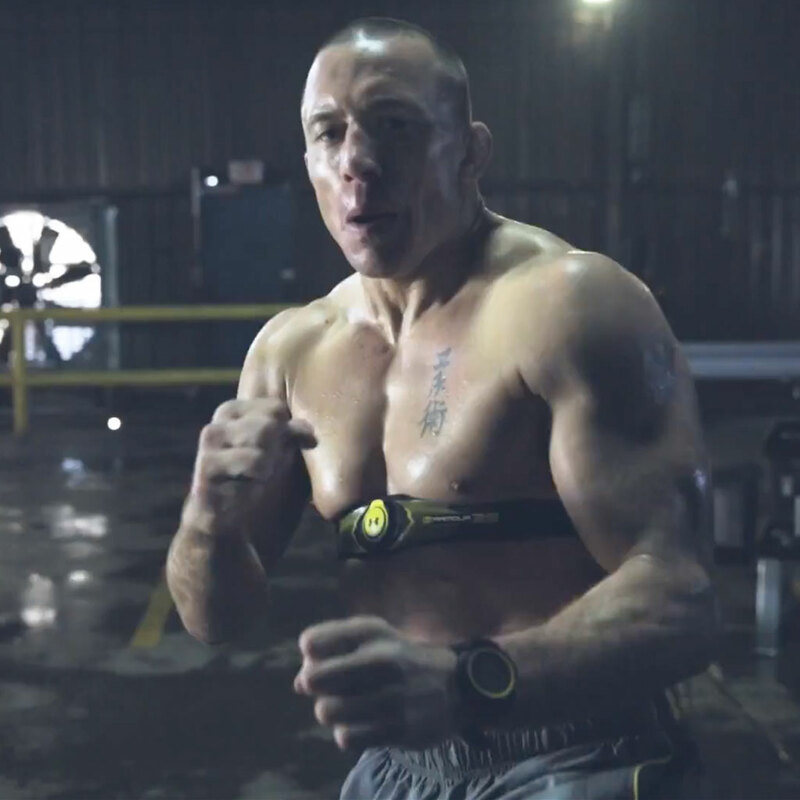 We came back with an idea that brought together world renowned (and my favorite) MMA fighter, Georges St-Pierre, and world-class trainer, Natalie Uhling, and put them through a crazy intense workout. 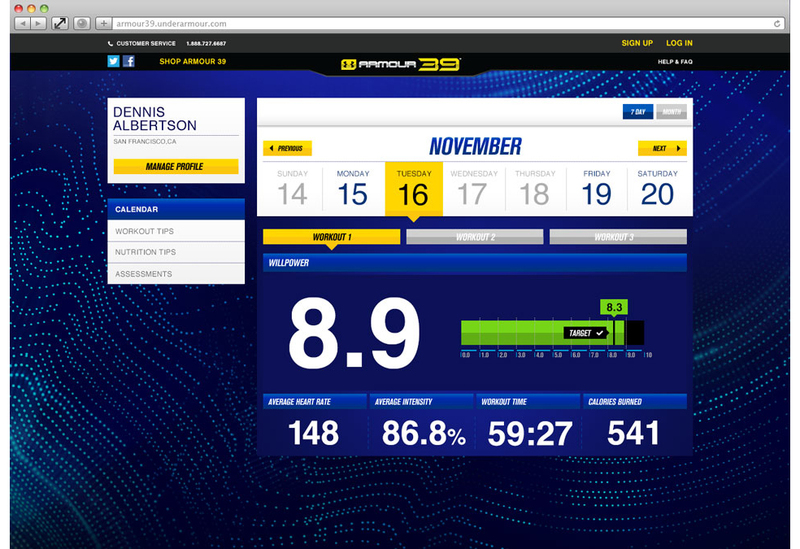 In addition, we developed the UX and interface for the Armour39 online experience that logged your fitness routine and tracked your Willpower.